I wonder if somebody could help? the line later, for now I just want be able to draw lines. When finished I'll make it available to LibreCad users. or one of the other plugins how to create entities. The sample plugin asks for two points and create a line between them. Read the Document_Interface class to learn its possibilities. The Document_Interface class grant you access to the current RS_Document, which contains the current drawing. This is how it works, you don't have to draw anything yourself, that is done by the application. In the plugin, you modify the document by removing and adding entities. Look at the existing plugins to see how to iterate over all or only selected entities. You can delete the original line with Document_Interface::removeEntity() or keep it and add the split lines on a different layer. For the split lines you may use Document_Interface::addLines() or Document_Interface::addPolyline(). and getting the following errors with includes. This is on a new system, my old computer was destroyed. 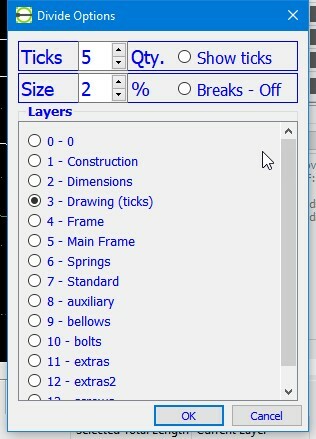 Is there something to set up in the paths or something missing in "LibreCAD-2.2.0-rc1". The plugin works up to a point, I just need to finish the interface. You should post the whole output of make, so we can see what is going on. Or do you have a github repo where we can see your modifications? Does this happen when LibreCAD is build or when it comes to your plugin? I've posted the my plugin surce on DropBox. I can compile and run LibreCad when I add in my plugin, it works, I want to improve it. Its just when I try and include the files shown in my previous post, I get file not found. The filles are there, thats why I mentioned mayby a path issue with Qt Creator or LibreCad. So you want to include header files from librecad sub project into your plugin sub project. Then you have to append the paths to the INCLUDEPATH variable in the plugin project file. This is not related with Qt Creator, only a project property setting issue. But I assume, that this is not a good idea and will bring more trouble. The plugin interface class should be the only common used source between the main application and the plugin. OK, I've changed the souce to reflect your comments. For the moment only ticks on lines and circles are working. I can now draw ticks on lines, circles and arcs. 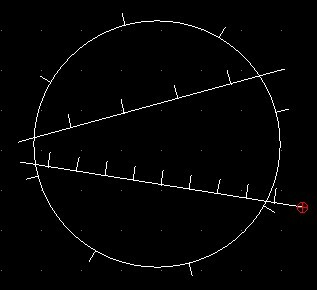 I would like to break(divide) the entity at the intersection of the ticks on the lines, circles and arcs. I've looked at 'rs_actionmodifycut' but this requires user interaction. What should I look at to enable me to divide an entity from my program?